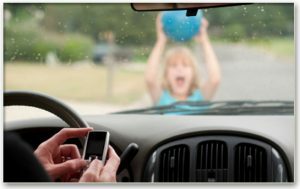 Distracted driving fines increase March 1, 2018. According to David Eby, Minister responsible for ICBC, the increase will treat distracted driving as serious as impaired driving and excessive speeding. Drivers who receive two tickets within three years will see fines increase from $1,256 to $1,996. Another change may be to increase auto insurance for those charged with distracted driving.